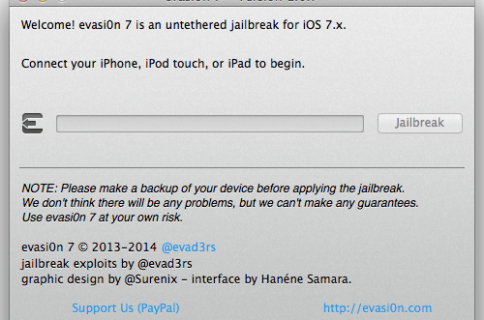 By now, most of you have probably already heard that Evasi0n will not be arriving today. The evad3rs tweeted this afternoon that the final countdown towards ‘tomorrow’s release’ has begun. 12:00 noon tomorrow is hard coded into the site guys if you didn’t catch that. Essentially, the progress bar is counting up to 100%—notice how it’s already moved to 92% since our post earlier this afternoon. And if it keeps up at this pace, it will expire at 12:00pm tomorrow EST. 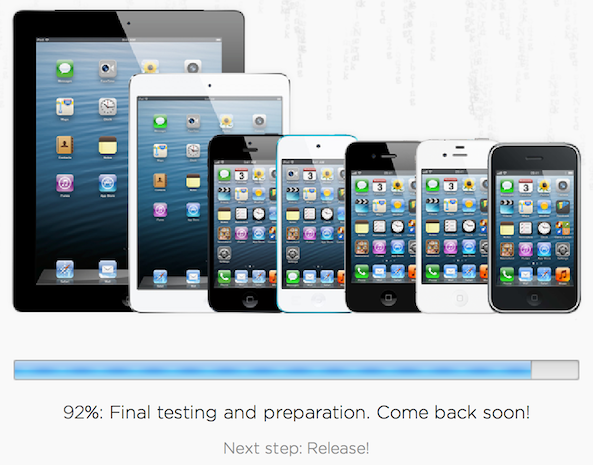 Obviously, this in no way guarantees that we’ll see the jailbreak in the next 18 hours. But given that the next step listed on the Evasi0n website is ‘Release!’ we’re guessing that this isn’t too far off. Update: A Reddit thread has popped up explaining the algorithm used for the progress bar. And an Event Time Announcer has been setup on timeanddate.com to help you countdown to the release.